Webinar - Malnutrition: What Is It Costing Your Facility? 15.00You are not eligible to purchase this product. See below. 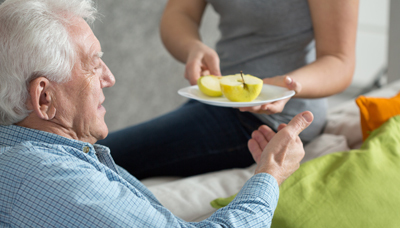 Malnutrition in the geriatric individual can lead to significant negative outcomes, therefore accurate and timely identification of malnutrition is essential to resident success. If malnutrition caused by chronic diseases is better addressed, the US could save $15.5 billion annually in healthcare spending. Foregoing a cookie cutter approach and individualizing nutrition intervention is key to the success of the resident. Identify key areas to monitor when replenishing the malnourished resident. Speaker: Elaine Farley-Zoucha, RDN, LMNT is the Owner and President of EZ Nutrition Counseling, PC. She has more than 20 years of experience as a chef, foodservice Director, consulting dietitian, author, and speaker. Elaine specializes in foodservice systems, geriatric care, CMS regulations, and quality management for ling-term care facilities. This course is a level II continuing competence.